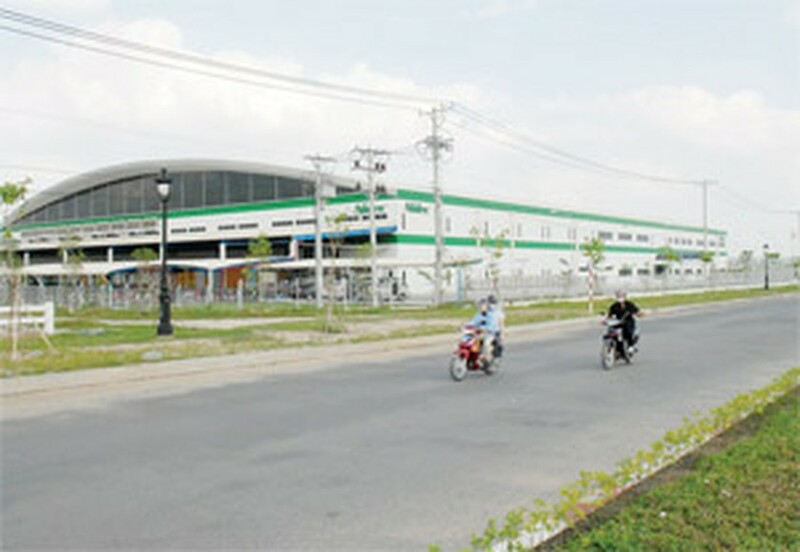 View of a corner of the Saigon Hi-tech Park. 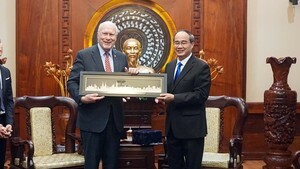 Construction of infrastructure in the Saigon Hi-Tech Park (SHTP) is reaching a fever pitch. Located in District 9, Ho Chi Minh City, the SHTP is tempting dozens of big name, hi-tech companies to set up camp in the area. The organizations are both local and foreign and include such names as FPT, Intel and Nidec. It is predicted that the SHTP, with an area of 1,000 hectares, will be fully occupied within the next year. Ho Chi Minh City’s government is accelerating the Park’s development in an attempt to turn the entire city into a national technology powerhouse. To this end, city authorities will appeal for local and foreign investment in four sectors: microcomputer and ICT; precision mechanics and automation; agricultural, medicinal and environmental biotechnology; and nanotechnology/special materials. The SHTP offers investors a variety of options including hi-tech production, IT research, technical training or combinations thereof. Other areas include technology transfer, IT services geared toward finance firms, venture capital investment, finance leasing and science-technology consulting. To facilitate development, the Park has been separated physically into industry-specific zones. For example, a hi-tech production zone, a trade and service area, an internet city and a training and research block. A business income tax of only 10 percent will apply while research projects are being carried out by tenant companies. Once research is put into practice, a business income tax exemption will apply for 4 years, after which a ten percent rate will apply for the following nine years. Businesses will also be able to import any necessary equipment with zero import taxes levied against them and products using cutting-edge technologies will be exempt from export tax. Investors will also not be required to pay rent if they develop hi-tech industries or provide human resource training in the science and technology sector. To further facilitate this, a development fund has been allocated to provide them with medium and short-term, low interest loans.